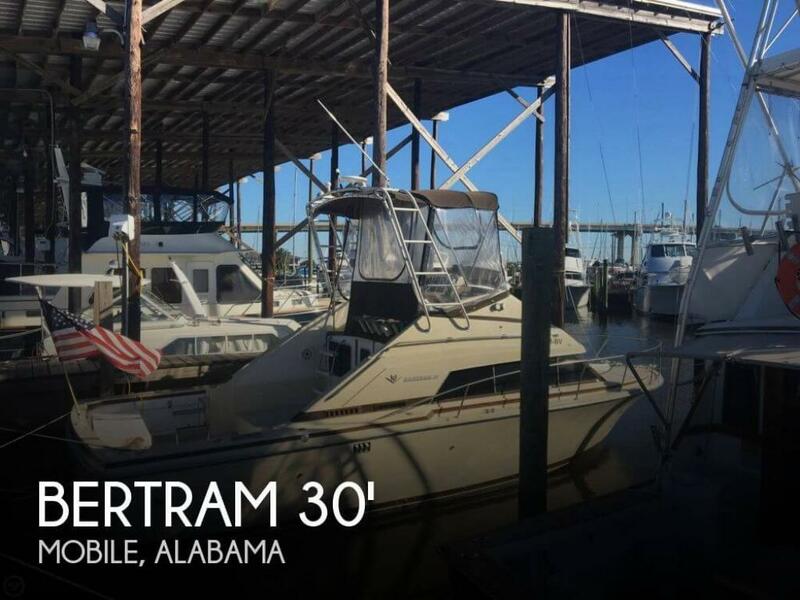 If you are in the market for a sportfish/convertible boat, look no further than this 1984 Bertram 30 Flybridge Cruiser, just reduced to $17,500 (offers encouraged). 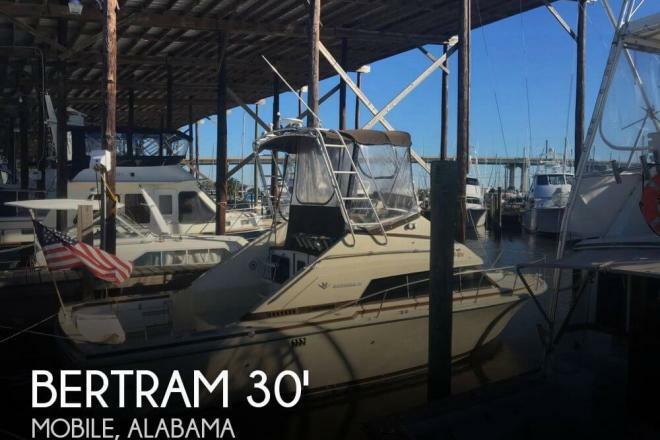 This boat is located in Coden, Alabama and is in need of some work. She is also equipped with twin Marine Power engines. Reason for selling is has four boats, this one needs to go.